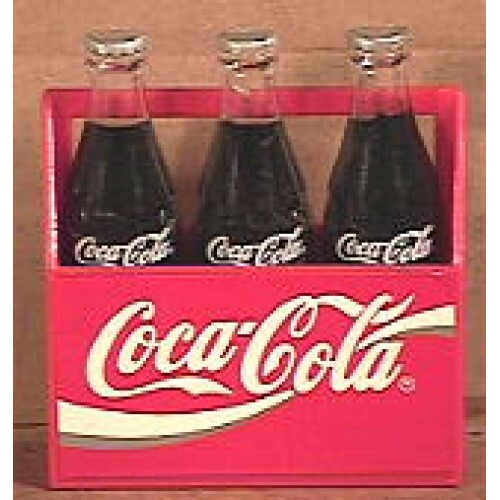 Coca-Cola miniature 3-pack in the form of a refrigerator magnet. It is about 3 inches tall, would look great on your refrigerator, and is in excellent condition. This has the Script wave logo on the carton and script logos on the bottles.